Incredible design: A redesigned chassis with premium materials and a gorgeous 4K Ultra HD display with over 8 million pixels – 3 million more than a Retina display – allows you to view your work in stunning detail. Extreme processors: No task is too big. 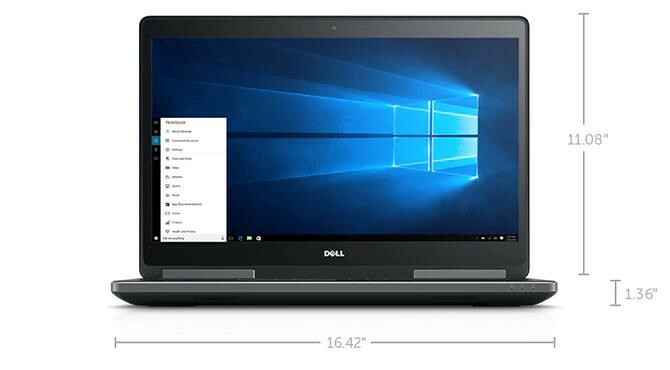 The Dell Precision 17 7000 Series delivers no-holds-barred processing capabilities with high-performance 6th Generation Intel® Core™ i5 and i7 and the world’s first Intel® Xeon® processor options. High-performance graphics: Responsive AMD FirePro™ and NVIDIA Quadro® graphics options with up to 4GB of GDDR5 memory keep pace with demanding 3D rendering and other graphics-intensive tasks. 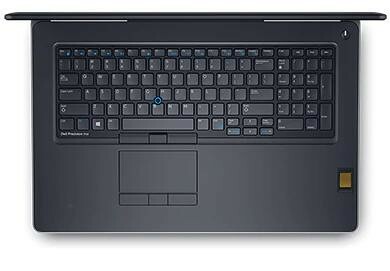 Keep coolA revolutionary thermal cooling system takes performance and comfort to never before seen levels in a laptop. Even your most graphic or processor-intense applications will benefit from never dropping out of turbo frequencies. Big storage for big jobsEasily store, transfer and access complex 3D, multimedia and video project files with the speed and reliability of solid state PCIe NVMe storage. Plus, with up to 4TB of total system storage, you’ll get heavy-duty space. Strong materials: The redesigned chassis has been subjected to MIL-STD 810G testing, ensuring durability and reliability for wherever your job takes you. Redesigned for mobility: Thinner and lighter than its predecessor, it’s now even easier to store and transport your mobile workstation when you’re on the go. Enhanced docking: Make using your peripherals and displays easy with the Dell E Dock, or use the Dell Thunderbolt™ Dock (available in 2016) for faster data transfers and support for up to five Full HD displays or 2 4K displays and five other peripheral devices. Rigorously tested for optimal performanceIndependent Software Vendor (ISV) certification: Precision Workstations are tested to ensure the high-performance applications you rely on every day run smoothly. 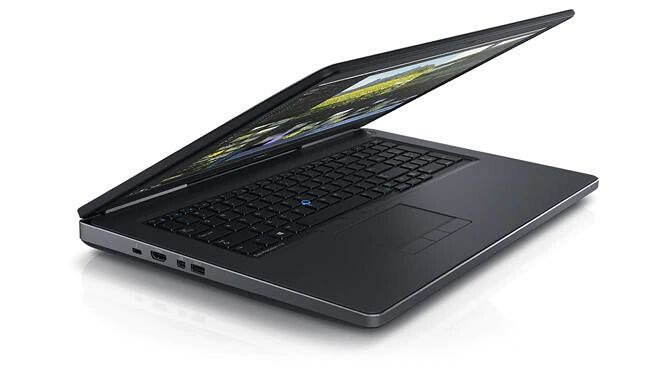 Dell ISV-certifications cover the most popular independent software applications. For a complete list of ISV certifications, click here.